Ingatestone Hall01277 353010work Historic House16th Century manor house built by Sir William Petre, Secretary of State to four Tudor monarchs, and still occupied by his descendants. The house substantially retains its original form and appearance (including 2 priests hiding places) and contains furniture, pictures and memorabilia accumulated over the centuries. 16th Century manor house built by Sir William Petre, Secretary of State to four Tudor monarchs, and still occupied by his descendants. The house substantially retains its original form and appearance (including 2 priests hiding places) and contains furniture, pictures and memorabilia accumulated over the centuries. 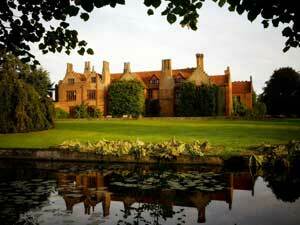 Enjoy an afternoon at Ingatestone Hall touring the eight principal rooms containing paintings, furniture and memorabilia accumulated over the centuries and wander in the ten acres of gardens.